Sora Kairi Roxas and Namine. . HD Wallpaper and background images in the Kingdom Hearts club tagged: kingdom hearts sora kairi roxas namine. This Kingdom Hearts photo contains anime, bande dessinée, manga, and dessin animé. Cool pic.I totally LOVE it. aww there a cute couples!!!!!!!!!!!! I kinda look like sora .. 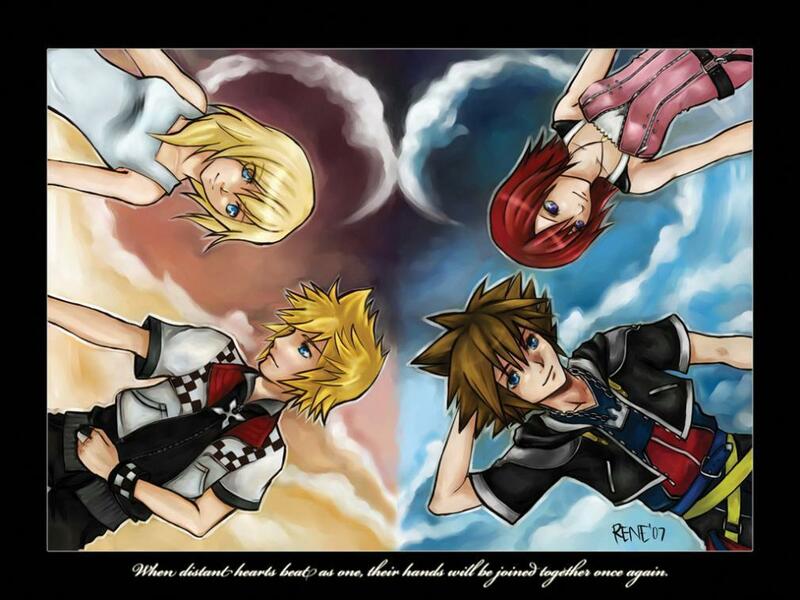 I Like NAmine And Roxas >.< Don't Argue With Me!